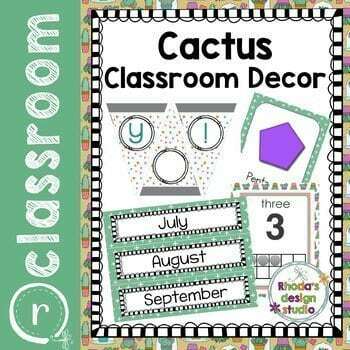 Create a cute and trendy look in your classroom with this fun cactus decor set. This classroom decor bundle is loaded with alphabet cards, number cards, shapes, calendar pieces and more! There are over 403 pages for printing, laminating and displaying. Maybe you have your own system for your library book bins or something special in your supply drawers. The majority of the files are also available in editable format. You can choose to edit the files in PowerPoint or insert PNG files into the program of your choice. Add your custom text, print, laminate and voila. All pages are made to print at 8.5 x 11 inch: portrait or landscape depending on the file. 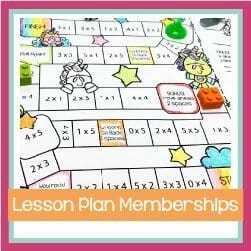 This resource was made with template inspiration by FlapJack Factory.